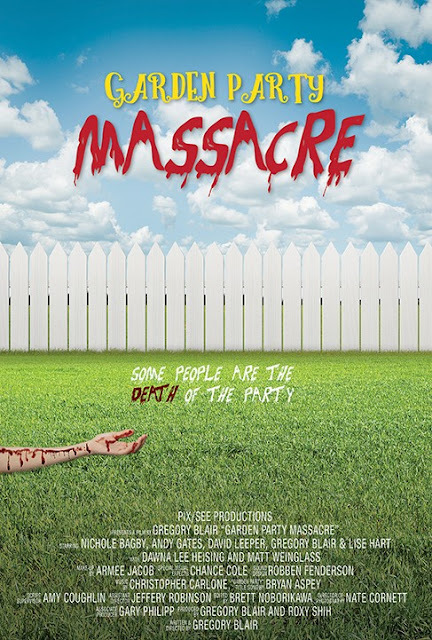 The critic and crowd approved screwball comedy, meets slasher spoof GARDEN PARTY MASSACRE, hits the market March 12, 2019 via SGL Entertainment. This is the second multiple award-winning film from writer and director Gregory Blair. This is also the second collaboration with SGL Entertainment - the slow-burn psychological thriller DEADLY REVISIONS being the first. GARDEN PARTY MASSACRE can be pre-ordered via the SGL website, below.